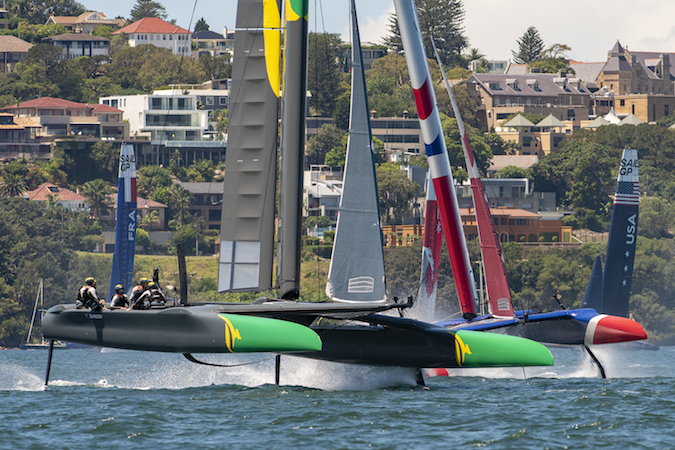 All six F50s hit the water ahead of SailGP Sydney. 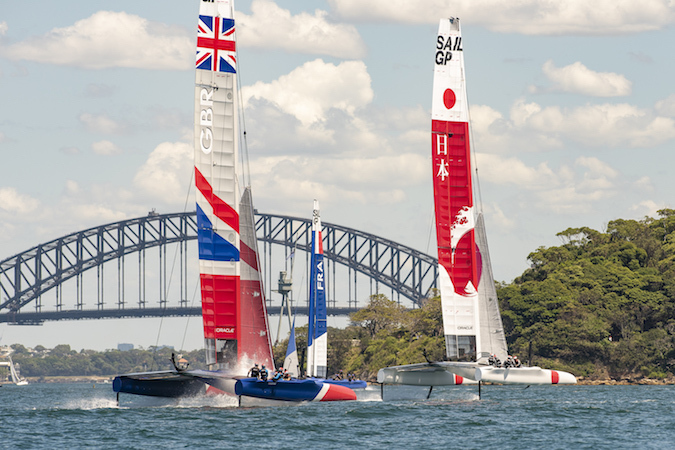 The Japan SailGP Team boat was unveiled at Cockatoo Island on Sydney Harbour. The Japanese F50 catamaran – which will be raced for the first time on Sydney Harbour on 15-16 February – features a clean white hull with a distinctive red rising sun on the bows. The striking wing design is based on traditional Japanese artwork, Ukiyoe. SailGP Practice race day. Six F50s line up. SailGP Practice race day. SailGP Japan Team and SailGP China Team. SailGP Practice race day. SailGP Australia Team rounding the first mark. Sydney Harbour. Sydney. Austrailia. Pictures of the GBR Sail GP team in action with the fleet on the first day of practise racing their F50 foiling catamarans. 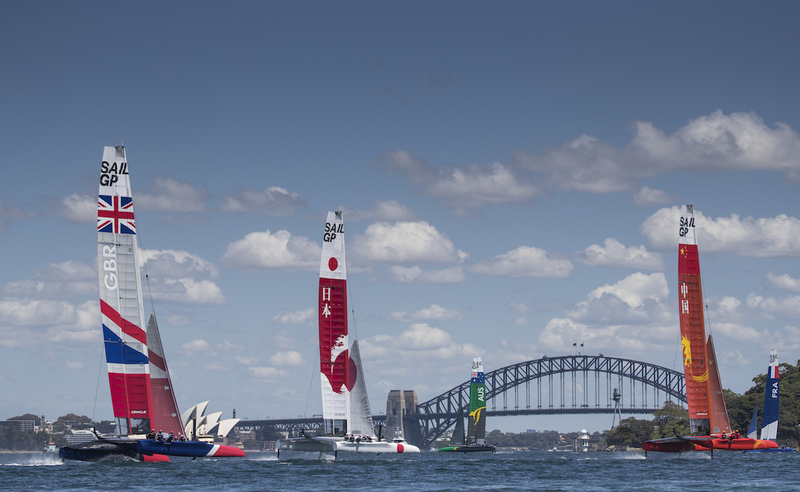 “It’s fantastic to finally launch our boat today,” said Japan SailGP Team CEO and helmsman Nathan Outteridge. For Japanese sailors Yugo Yoshida, Yuki Kasatani and Leo Takahashi, SailGP is the next step following their recent experience representing Japan during the 35th America’s Cup in 2017. Yoshida and Kasatani sailed with SoftBank Team Japan, while Takahashi helmed the Japanese Youth America’s Cup. 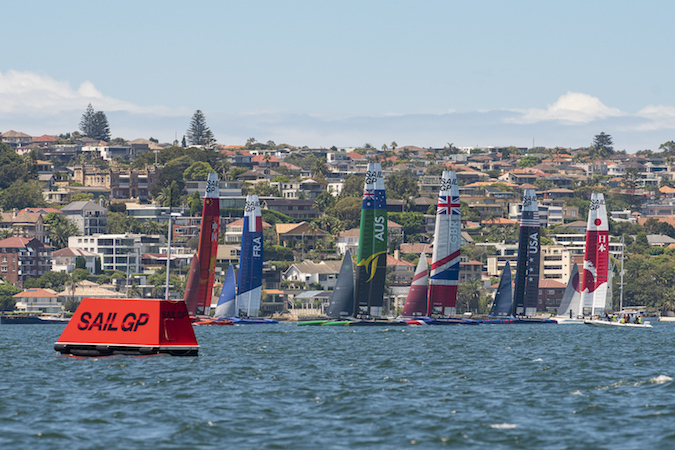 Sydney SailGP will take place 15-16 February in Sydney Harbour. 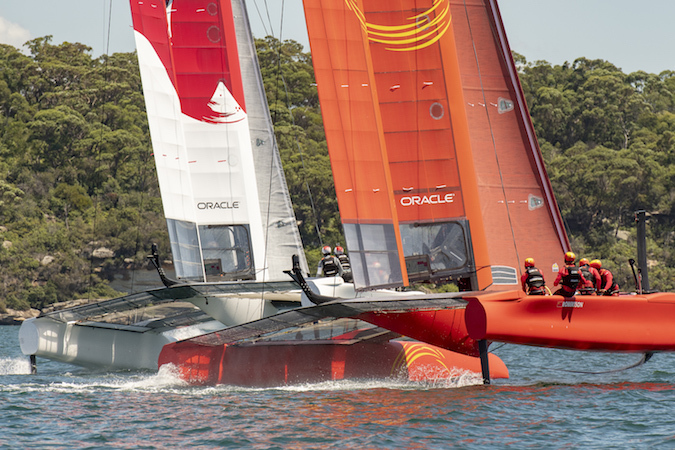 Tickets for a variety of exclusive spectator experiences are still available for the world-premiere SailGP event.